There is a growing trend amongst consumers today where they put to the forefront of the decision process the sustainability of a product. Initially, this started with smaller, basic consumer goods, such as food and clothing. But soon, more companies realized the importance of making sure that their products were made ethically and sourced from sustainable goods. It wasn’t long before we started seeing sustainable vehicles, most recently electric cars like those that Tesla Motors creates. Now, consumers don’t want just to buy sustainable products, but they also want to live sustainably. Homeowners are looking for ways to create sustainable, eco-friendly homes that limit their carbon footprint. One way they can do this is through using reclaimed, recycled wood in their homes. Wood has been and will continue to be, a very popular material to use in homes and today we’ll talk about why reclaimed wood should be your number one choice when it comes to building your home. 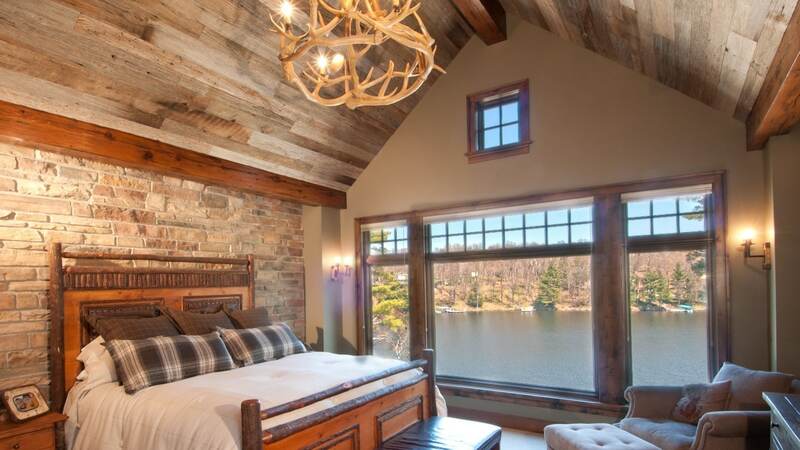 Reclaimed wood provides many benefits that other wood can not. Perhaps the biggest pro of using reclaimed wood is that it can help lessen your environmental impact. 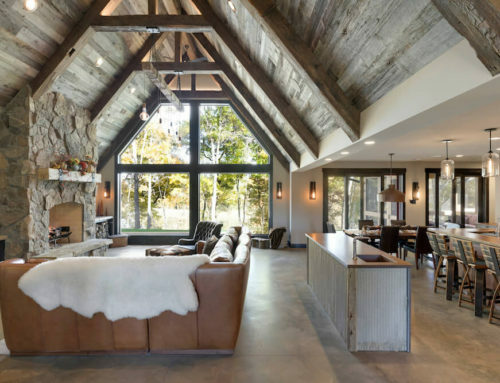 Because reclaimed wood is recycled from various sources (such as old barns), you can help decrease the demand for freshly-harvested wood from forests. According to the United Nations Food and Agriculture Organization and reported by Conserve Energy Future, an estimated 18 million acres of forests are lost each year throughout the world. Between 1990 and 2010, the United States lost an average of 950,000 acres per year of forests. While organizations like the U.S. Forest Service and Arbor Day Foundation have helped combat that with reforestation, choosing reclaimed wood for your home is a way in which you can help fight back against deforestation. So, help save a tree or two by going with recycled and reclaimed wood on your next home! While people often associate older materials as being less sturdy because they supposedly have more wear and tear, this isn’t the case with reclaimed wood. Installed and harvested decades ago, this wood is much stronger, more durable, and all-around more stable than new wood. Therefore, not only will you help the environment by purchasing old-growth wood, but your home will last longer, and you’ll be less likely to have to spend money on expensive repairs. There is a certain charm that reclaimed wood possesses. You can take reclaimed wood from the previously mentioned old barns, as well as factories, warehouses, stock farms, wine casts, and even wooden ships and boats. Imagine showing guests your new home and explaining how that wooden box beam in your basement came from a retired ship. Pretty cool, huh? At Manomin Resawn Timbers, that is one of the reasons we love reclaimed wood; there is so much history in any given timber of wood. Plus, it adds character to any home. We love being a part of beautiful homes that go against the status quo and avoid the ‘cookie cutter’ style that we see all too frequently. 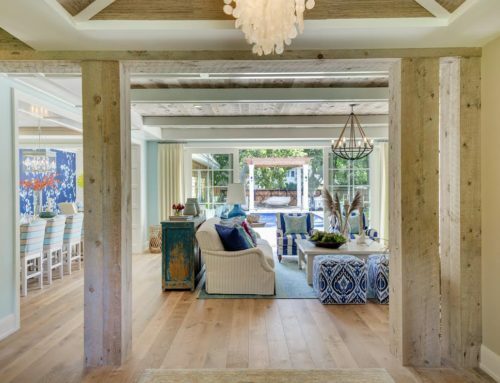 Homes that incorporate reclaimed wood are truly unique. Because of the variety of different types of reclaimed wood you can choose from, you’ll be able to find the perfect species for your home. We believe in second chances, and if you do too, then reclaimed wood is perfect for your home. While old barn wood may initially not look appealing, after some love and care and a little touching-up, it can be turned into something special. 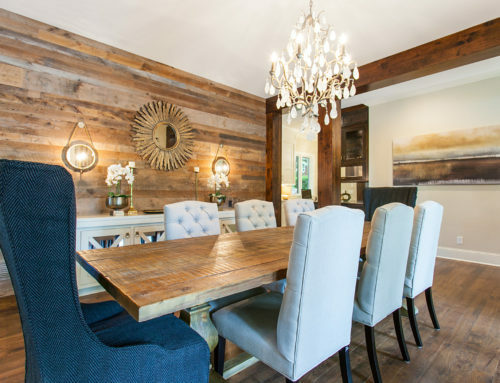 By incorporating reclaimed wood into your home, you can help abandoned wood find new life. Contact Manomin Resawn Timbers Today! As you can tell, we are passionate about reclaimed wood and the benefits it can provide for your home. 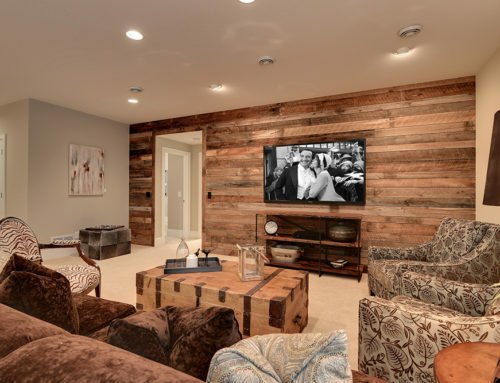 From being a sustainable option to looking great and helping restore the value of old materials, reclaimed wood is a smart choice for home builders and owners alike. 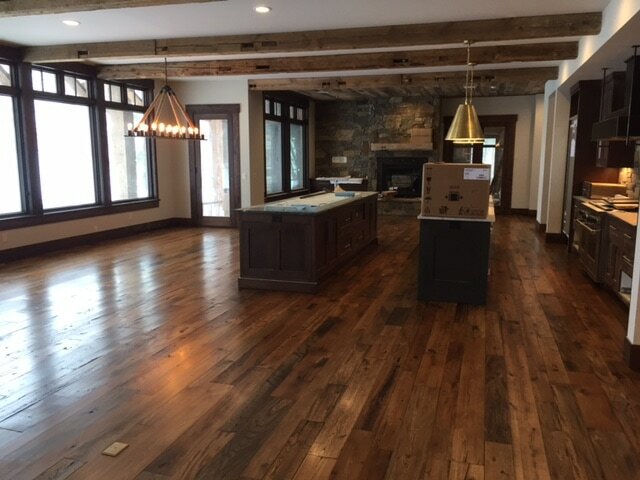 Contact us today to learn more about our reclaimed wood. 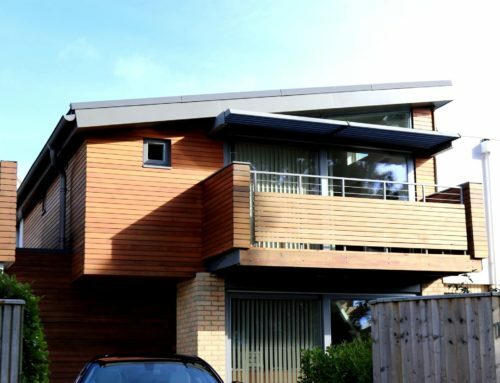 We are looking forward to working with you to help create a truly beautiful, sustainable home!